When Education Secretary Betsy DeVos and American Federation of Teachers president Randi Weingarten toured a public school in rural Ohio’s Van Wert school district yesterday, many observers were expecting fireworks. While there was obvious tension according to the Washington Post, the appearance was still largely a photo-op. Nevertheless, the meeting illustrated the deep chasm between public school advocates and school choice proponents. Secretary DeVos is not shy about her belief that public schools have largely failed students—especially disadvantaged ones—and that alternatives, such as charters and private or religious school vouchers, are the answer to a struggling education system. Weingarten isn’t the only national education leader to push back on the narrative that public schools are failing. As school choice rhetoric heats up across the country and more states expand voucher or education savings programs, public school leaders are working to brand their schools as destinations of first choice for students and families. The National School Boards Association (NSBA) has been at the forefront of championing public schools. 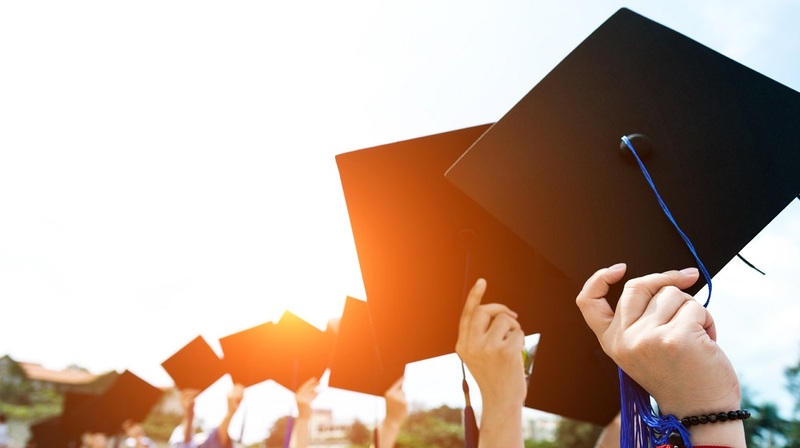 In January, NSBA Executive Director and CEO Tom Gentzel released a statement outlining the many accomplishments of America’s public schools, including a higher-than-ever graduation rate as well as historically high college attendance. Last month, at its annual conference, NSBA re-launched the Stand Up 4 Public Schools campaign, a national initiative created to spotlight great achievements in public education through a series of videos, social media messaging campaigns, and live events. While NSBA focused in the past on the academic achievements of well-known celebrities, the revised campaign champions the achievement of everyday students, teachers, and school leaders innovating public education. The campaign’s introductory video (below) highlights the diversity of public educators and students and presents the narrative that every day is unique, and that ordinary successes, though often not covered in the media, need to be celebrated. While advocacy groups such as NSBA and AFT work to steer and amplify the national narrative about the value of public education, it’s local school district leaders who have the biggest opportunity to change unjust perceptions. As former principal and leading education researcher Eric Sheninger told us in a recent interview, to stay competitive, schools need to take control of their brands—to tell their own stories—before others hijack those stories from them. Alief Independent School District in Texas has developed its brand through high-quality educational offerings and a constant conversation with students and parents. This new branding effort seems to be paying off. While the district lost around two percent of enrollment to charter schools in 2016, nearly half those students have come back, according to the report. By developing a school brand known for innovation and open communication, the district is making the case that it is the best choice for students and families. What steps is your school or district taking to stand up for public education? What role does your school’s brand play in helping it stand apart from the competition? Tell us in the comments.